This is an original production cel from the Warner Bros. Studios production of Superior Duck (1996). 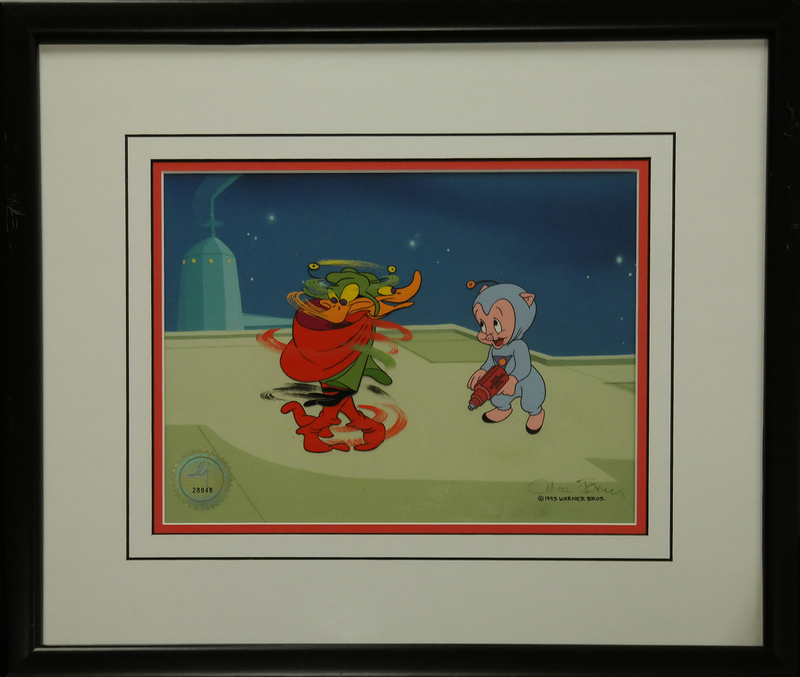 This production cel features Daffy Duck and Porky Pig and was created at the studio and used during the production of the film. The overall measurements of the piece are 16.5" x 19.5" framed with the mat opening measuring 8.5" x 11.5" and the image itself measures 4.75" x 7". 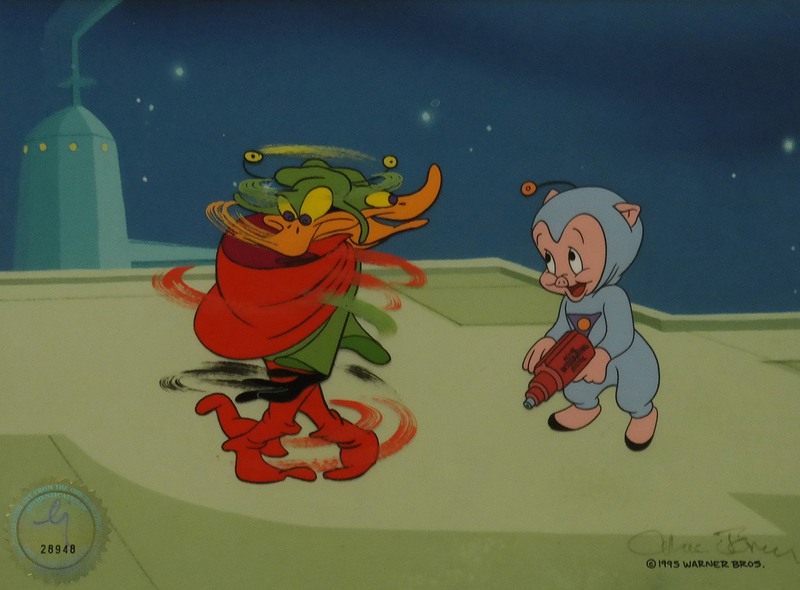 The cel is hand-signed by Chuck Jones, although it is slighty faded. The frame has some light scratches in it, but the cel itselfl is in excellent condition and is paired with a color copy reproduction background.